Home > In The News > Whole New Ballgame? Take Me Out To The Ball Game! 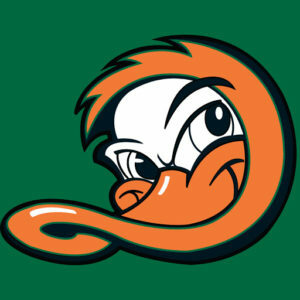 Who doesn’t love a great nine innings of baseball? 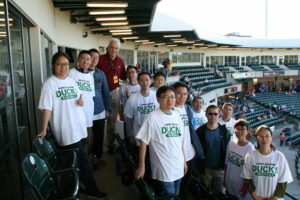 Retlif’s Bill Hayes recently hosted visiting representatives from the Commercial Aircraft Corporation of China (COMAC) and the Shanghai Aircraft Airworthiness Certification Center of the Civil Aviation Administration of China at a Long Island Ducks baseball game. 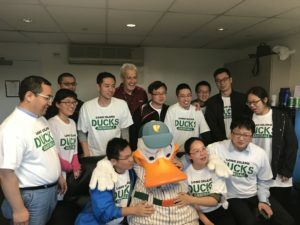 Interest in the game is growing in China, and perhaps this first hand sampling may help spur it along even faster. at the Bethpage Ballpark and a good time was had by all!